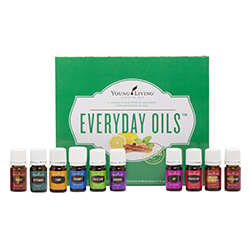 The Everyday Oils™ collection is the perfect beginner kit, containing ten of our most popular and versatile essential oils. This kit will become a useful part of your day, every day. 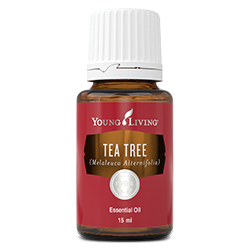 The oils in this select collection provide ongoing support for your home, health, and body. Enjoy healthy-looking skin with Melaleuca Alternifolia (Tea Tree oil) and Frankincense, the relaxing benefits of Lavender and Stress Away, the power of Thieves and Lemon, the uplifting properties of Joy essential oil blend, and much more. Joy: For topical or aromatic use. Diffuse or apply topically on location, such as wrists, chest, and the base of the neck. Lemon: For aromatic or topical use. Lavender: For aromatic or topical use. Peppermint: For aromatic, or topical use. Purification: For topical or aromatic use. Diffuse, apply topically on location as needed, or put on cotton balls to place in air vents of home, car, hotel room and office. Diffuse and rub on feet for cleansing. PanAway: For aromatic use. Apply to the bottoms of feet and follow with topical application on location. 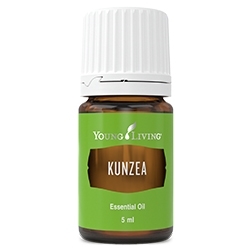 Rub on temples, back of neck, or forehead, or inhale for a soothing effect. Melaleuca Alternifolia: For aromatic and topical use. 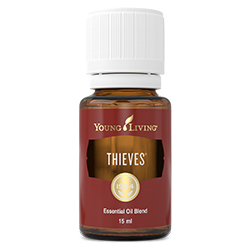 Thieves: For aromatic, or topical use. Diffuse for short periods of time (1/2 hour or less) in the work or home environment. Stress Away: For topical or aromatic use. 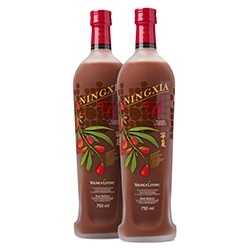 For more information, including cautions, please refer to individual product descriptions.